Halloween is right around the corner and, here at FineStationery.com, we feel like it's the perfect time to let your inner kid shine through with an awesome costume or spook-tacular soiree. Whether you decide to have a family affair or an adults-only celebration, we have the perfect invitations for any occasion. Choose from our curated collection of frightfully modern designs to set the mood for a night to remember. 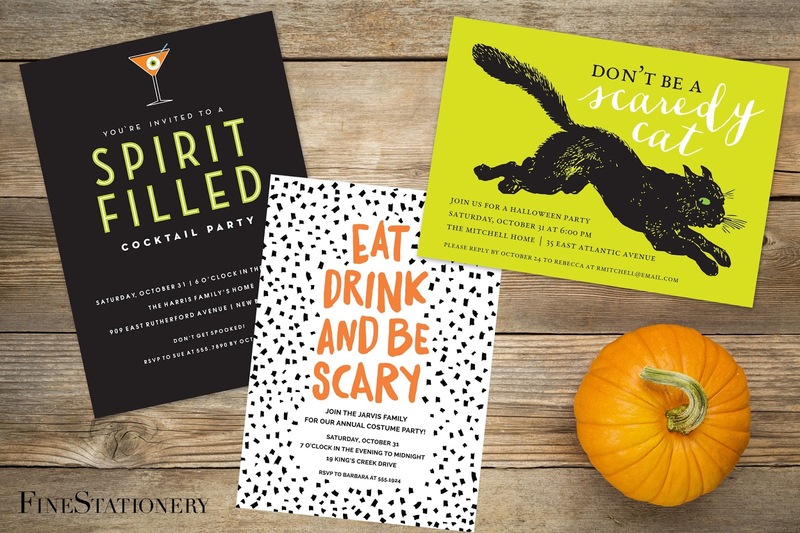 Now through October 6th, receive an extra special treat of 25% off all Halloween cards with code WICKED25!